The study of animal sciences encompasses a variety of scientific disciplines that explain the functioning of biological systems related to livestock and other animal species. Animal sciences applies this scientific base to the production and management of animals and includes the study of animal behavior, well-being, and husbandry. Products resulting from the care and management of livestock (meat, milk, and fiber) are integral components within the field of animal sciences. In addition, there are many important animal contributions to society that benefit animals and humankind, such as recreation (horseback riding, fishing), companionship and therapy (dogs, cats, horses), and biomedical research. As an animal sciences student at Washington State University, you will gain in-depth knowledge into the relationship between humans and animals, and have the necessary training to make an impact in the agricultural, business, or research industries. All animal science majors take courses in animal nutrition, reproduction, animal breeding, and genetics, and have hands-on opportunities to apply their coursework to dairy cattle, beef cattle, and swine. In addition, you may choose from two animal sciences options, and tailor your coursework to help you achieve your personal and academic goals. The pre-veterinary medicine/science option places emphasis on the basic sciences, preparing students for careers in veterinary medicine, graduate school, and biotechnology. Students who choose the pre-veterinary medicine/science option complete required courses for admission to professional DVM programs, in addition to courses related to the biological systems and functioning of animals. The animal management option emphasizes the business and economic aspects of animal production and well-being. 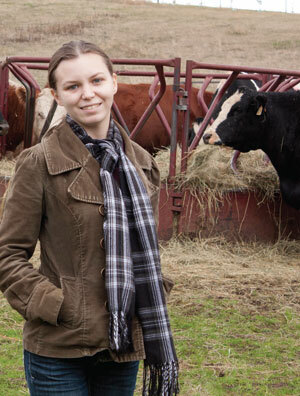 Students develop practical management skills through participation in the department’s dairy and beef centers. 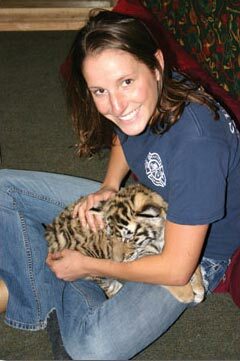 As an animal sciences student, you can immediately apply what you learn in the classroom. The department offers a variety of experiential learning opportunities, such as student-managed herds of dairy cows, a student-managed beef feedlot, and many opportunities to conduct innovative research that addresses some of the most pressing issues for animals and humans. For high achieving students we offer a combined program leading to Bachelor of Science in Animal Sciences & Doctor of Veterinary Medicine degrees. A minor in Animal Sciences requires a minimum of 16 credits of courses with the ANIM SCI prefix. At least 9 of the 16 credits must be upper-division, taken in residence at WSU or through WSU-approved education abroad or educational exchange courses, and include a minimum of 7 credits from the following list; ANIM SCI 313, 330, 350, and/or 351. In addition, students may use up to 4 credits of ANIM SCI 399 or 499. Students must maintain a minimum 2.0 gpa within ANIM SCI courses to remain certified as an Animal Science minor. Students may apply for a minor in Animal Sciences once they have certified in a major and completed 60 credit hours. Schedule an appointment with an academic advisor to discuss your options and design a program that meets your needs. Note: You should consult the General Catalog for course planning and must meet course requirements for your major, as outlined in the catalog, to graduate. For the most up-to-date information on course sequences, financial aid, and more, visit our page at WSU Admissions. Animal scientists explore ways to address current and future challenges faced by stakeholders, industry, and society. Employment and career opportunities abound in industries related to beef and dairy cattle, feedlots, swine, aquaculture, allied industries, animal shelters, vivaria, zoos, and agribusiness. The pre-veterinary medicine/science option is recommended for students planning to work in an area of science or biotechnology or planning to apply to a professional program leading to the doctor of veterinary medicine degree or graduate school. Students planning to study animal sciences should take chemistry, biology, and mathematics and have solid communication and writing skills from high school. Students wanting to attend community colleges and then transfer to WSU should contact the department to coordinate their coursework. We offer one of the strongest animal sciences programs in the nation, and the only four-year animal sciences degree in Washington. Multidisciplinary instruction provides students with an integrated knowledge of animal management, agriculture, science, and research issues. Renowned faculty mentors serve as academic and career advisors, and are dedicated to helping students reach their goals. Learn hands-on in research laboratories and livestock centers using innovative science-based methods. Develop career and leadership skills through participation in student cooperatives, student clubs, and internship opportunities.